Michelle Galvan has been named a co-host on Univision show Primer Impacto. Galvan joins Pamela Silva Conde on the show as of March 13. She joins the show from KXLN-TV where she was an evening anchor since 2012. Galvan has earned three Emmy Awards and six nominations. Prior to her work at KXLN-TV, she has worked on Primero Noticias, TV Azteca, ESPN Latino and Televisa. 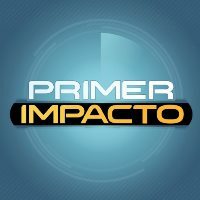 Follow Primer Impacto on Twitter.